Discover the most beautiful golden highlights! 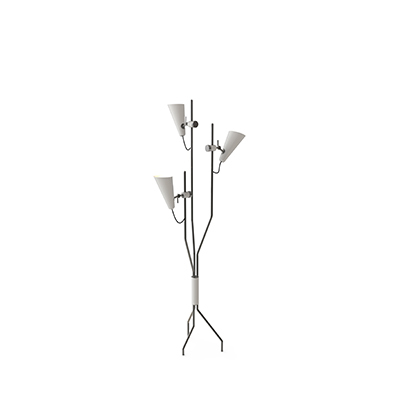 Floor lamps are always a highlight in any room and we are sure you want real it-pieces. So what can be better than a highlight lamp with a golden finishing? Keep on reading to discover some of the most beautiful golden floor lamps. Gold is a shiny color that symbolizes pure luxury! A golden floor lamp can let the lighting shine even brighter. This makes it perfect for an elegant lighting design! Let’s start with the Brubeck floor lamp from DelightFULL. The composition of the single tubes makes this lamp very unique and adds simple elegance. The lamp is perfect for an elegant living room interior! Next, we have Janis floor lamp for you. This piece is inspired by the powerful musician Janis Joplin and reflects the power in its design. Catch the stars and bring them into your home with Stardust floor lamp. The movable arms allow you to create your very own constellation. The golden finishing shines even more to bring you closer to the stars! 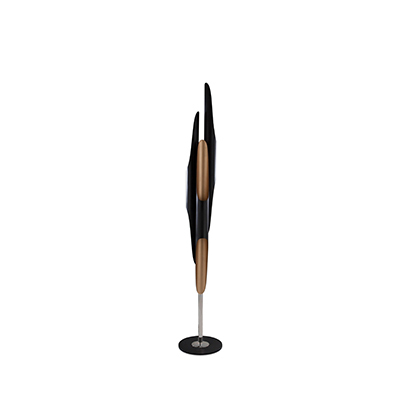 Last but not least we want to present to you the incredible Botti floor lamp. The shape reminds of real trumpets which makes the lamp a must-have for every lover of Jazz Music. Botti helps you to put your home interior design to the next level! We hope you liked our favorite golden floor lamps. What do you think? Do you have another favorite color for your floor lamps? Let us know your ideas and leave a comment! You want to get more inspiration about floor lamps and interior design? No problem, you will find it in the other articles on modern floor lamps.